1. Discussion: Have you ever heard the expression, “To make a friend, BE a friend”? What does it have to do with the story you just heard? 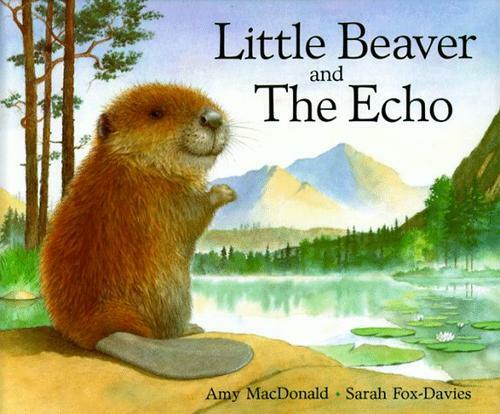 What did Little Beaver discover about making friends? 5. Game: “The Telephone Game. Have students sit in a circle. Whisper a phrase into your neighbor’s ear. Have each student repeat the phrase all the way around the circle. When the last person hears the phrase, have him or her tell the rest of the class what they heard. How close was this to the original phrase?” (Iram Kahan, Grades K,1, Dease Lake School, British Columbia, Canada). a. A beaver cuts down trees with its teeth. b. A beaver lives in a lodge. c. A beaver slaps its flat tail on the water to warn of danger.